Apple’s barrage of iPhone X ads continues with yet another that promotes its Apple Pay product using its Face ID technology. Their latest spot features customers using Apple’s mobile payment platform to pay for a quick stop at the grocery store. 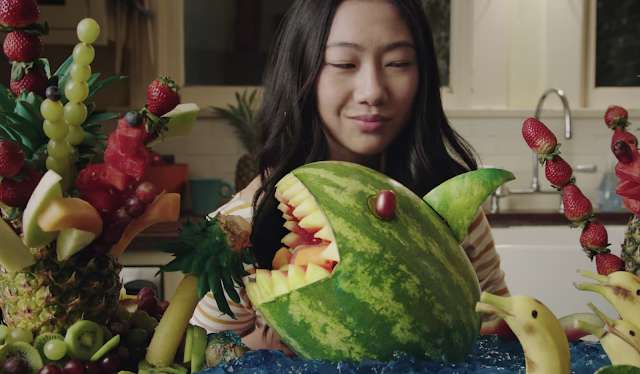 This fast-paced ad is entitled “Groceries” and comes in at 12 seconds in length. Apple touts that the iPhone X with Face ID allows you to “Apple Pay and done” with incredible ease. Today’s video marks the third Apple Pay-focused ad that Apple has rolled out in recent weeks. The company began this campaign with a longer spot that showcased the ease of Apple Pay with Face ID on the iPhone X. The second ad focused on peer-to-peer payments with Apple Pay Cash.